Earlier this week I met with my first client in our recently opened Hackensack office. She had a very common question: What can I do about this Default Judgment...is the creditor going to garnish my wages? When first meeting with a potential client during the bankruptcy intake process, it is common for my clients to show me copies of a creditor's Default Judgment entered against him or her. Oftentimes, the potential client will tell me that they were never served with the original civil complaint, or tried to settle the debt without filing an answer in court. Getting a copy of the Judgment in the mail is scary, but it is usually when the creditor first makes effort to collect on that debt that my new client is calling me for advice. In New Jersey Default Judgments are generally not difficult to vacate, which would allow a defendant to answer the complaint and mount a defense to the action. Rarely, however, is there a legitimate defense that can be raised. Most of my clients will readily admit that they borrowed the money and didn't pay it back. The fact that the defendant may have made efforts to settle the debt, make payment arrangements, or fell on hard times making it impossible to repay the debt, are not legal defenses. While it may be true that the creditor collected more in interest than the defendant ever borrowed, the creditor will still prevail in court. The adage, "where there is smoke, there is fire" applies to many of my clients financial circumstances. 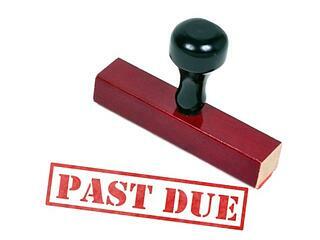 Generally, if a creditor is suing for non-payment, the defendant has other financial difficulties as well. Especially in today's economy where so many people are unemployed, the inability to keep up with credit card payments, medical bills, car and home payments, are commonplace. And if my potential client is calling me, a bankruptcy attorney, asking me for my opinion, he or she has already figured out that they can't do it anymore. My usual advice is almost always the same: "put an end to the bleeding - harassing phone calls, the reporting of delinquencies on credit, the throwing away good money after bad, the stress and anxiety of how to make ends meet. Stop the bleeding and start fresh. Let's look at what bankruptcy can do to get you back on track and get a good night sleep for a change." If you need help contact us today for a FREE bankruptcy consultation.